When Caleb Weybourne reluctantly agrees to spend the summer with his dad in the remote wilderness of northern Canada, little does he realize what lies in wait for him. His father, a renowned anthropologist, has spent much of his adult life searching for elusive mythical creatures such as the Loch Ness Monster and Bigfoot. This summer, however, the professor is determined to find the giant, mysterious water snake, a much feared creature according to local Ojibway folklore. Caleb's summer is turned upside down before he even reaches his destination when he inadvertently comes face-to-face with a sinister train robber on his way up north. Arriving in Chismo, his summer home, he is befriended by two local boys, Isaac and Eli Cobby, who lead him into a series of perilous adventures in their effort to stay one step ahead of a murderous giant snake and an elusive train robber. 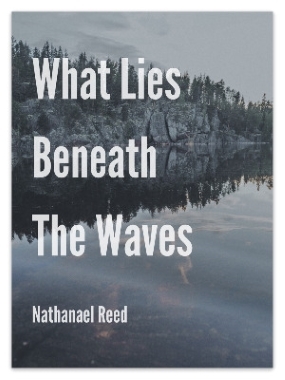 What Lies Beneath the Waves is a fast-paced adventure story featuring a cast of unforgettable characters and set in one of the most ruggedly beautiful, yet somewhat mysterious regions of the world.